This is the remains of a mural that was above a doorway in Building 1. Aside from the Jaguar Head on the right hand side, it is hard to make out anything. 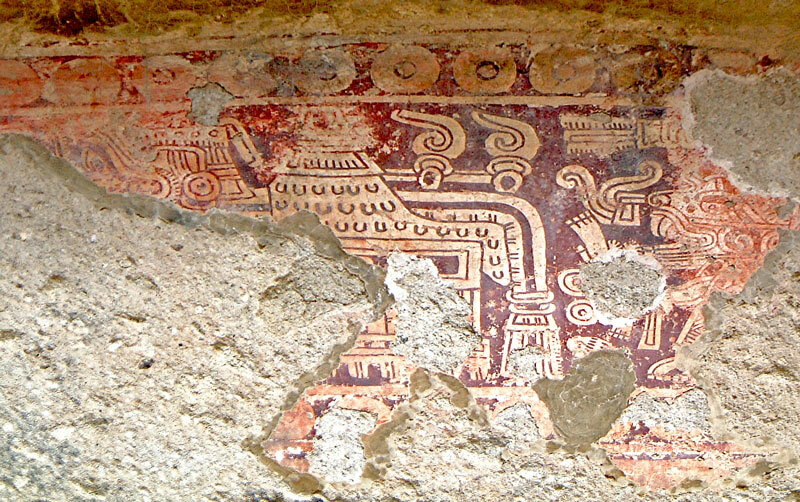 There is a hint that the central figure is a feathered being of some kind. the style is considered to be in the Mixtec-Puebla style and are thought to relate to Mixtec codices that discuss their creation myths.